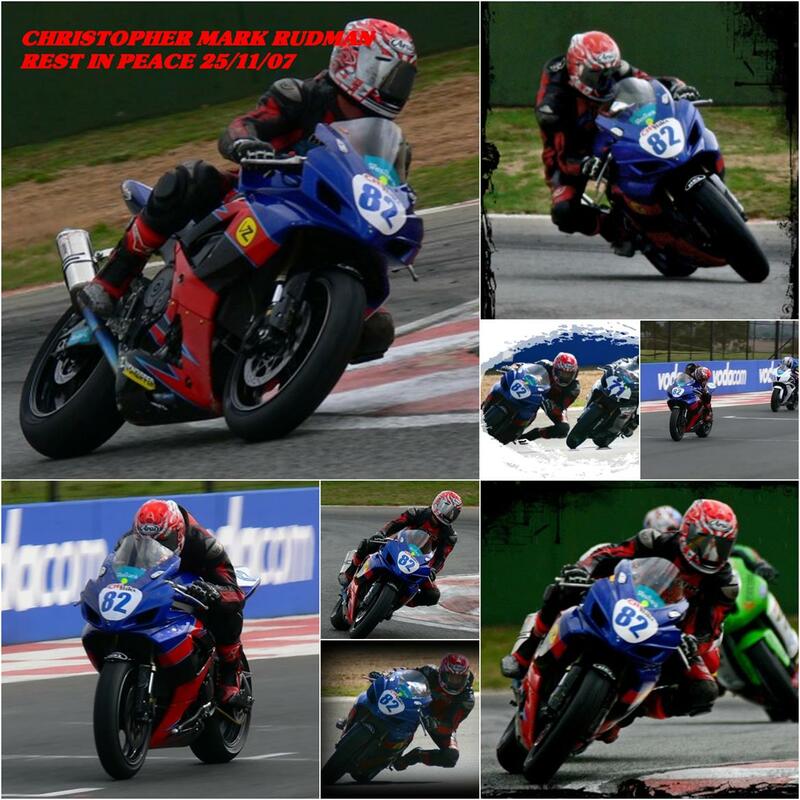 It is with great sadness that I have to report the tragic and untimely death of a very talented and young South African supersport racer at the weekend. Christopher Mark Rudman was a passenger in a vehicle leaving Kyalami on Sunday morning after the last meeting of the season and the prize giving. This news has rocked the whole racing community here and a group has been set up on Facebook as a tribute to Chris. Should anybody wish to leave messages of sympathy, condolence or support, please go to TRIBUTE TO CHRISTOPHER82RUDMAN and I am sure that they will be very much appreciated and welcomed.